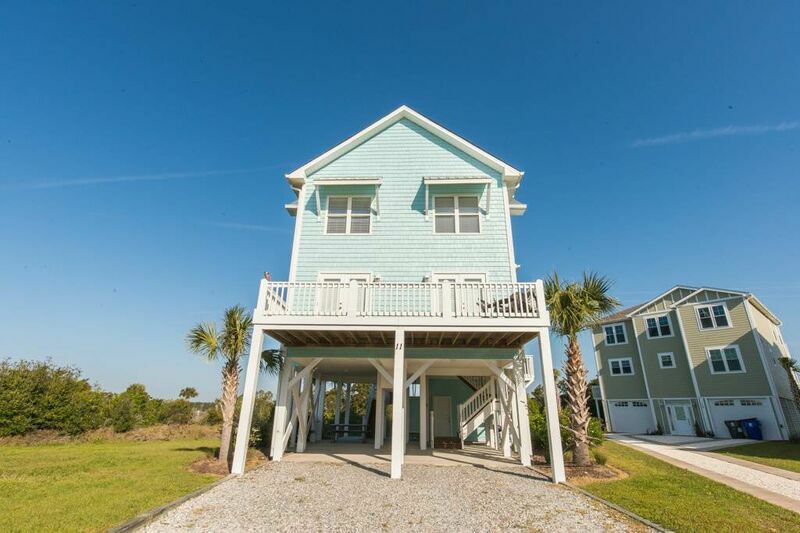 Located on the quiet far east end of Ocean Isle Beach along the Intracoastal Waterway, this home has awesome panoramic views of Intracoastal Waterway. 6 bedrooms 6 baths home features a reversed floor plan with open kitchen, dining and living area. Tile flooring and generous deck space. Large flat panel TV in the main living space, wireless internet access. Fully equipped kitchen with dishwasher, microwave and washer/dryer. Large community pool with sundeck. Renter will have use of community boat dock for loading and unloading passengers during high tide only. Boats can be launched from the public access at the OIB bridge. Boats with trailer can be parked on the rental property. Overnight docking at the floating dock is not permissible. Professionally decorated home fully equipped kitchen and plenty of extras. Non-smoking. Sleeps 12. Bedding: Queen, Queen, Queen, Queen, Queen, 2 singles.